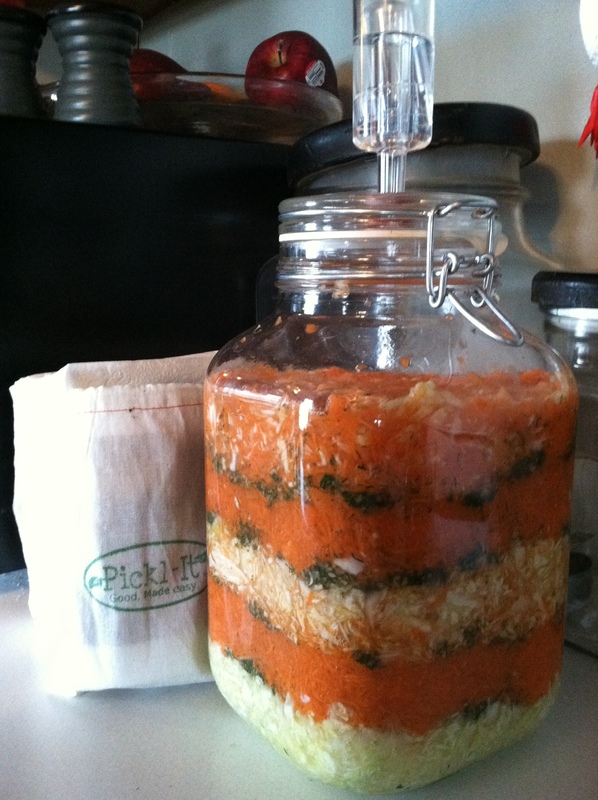 Cold Processed Organic Sauerkraut is curing autoimmune disorders like Lupus, MS, ALS, Diabetes and more! What it does is it breaks down the synthetic proteins we’ve taken in for years with processed foods. It is full of probiotics and enzymes like kombucha, another fermented food. Melting away those toxins that are stored in our bodies. So eating sauerkraut, drinking kombucha, and getting treated with the laser for lymphatic wellness, your body can be in top running order! Add a dash of Yoga for flexibility and strength, and you’ll feel younger than you have in years! Spread a thin layer of Garlic and Dill on top of the cabbage. Spread another layer of garlic and dill, continue layers until done. The last layer is half cabbage and carrots. Pour 2-3 oz.s of Organic Lemon Juice on top of mixture and close picklit jar. Add water to the line of the bubbler stopper and push in tightly. Store in pantry or cover with towel on counter at room temperature for 2-5 weeks. 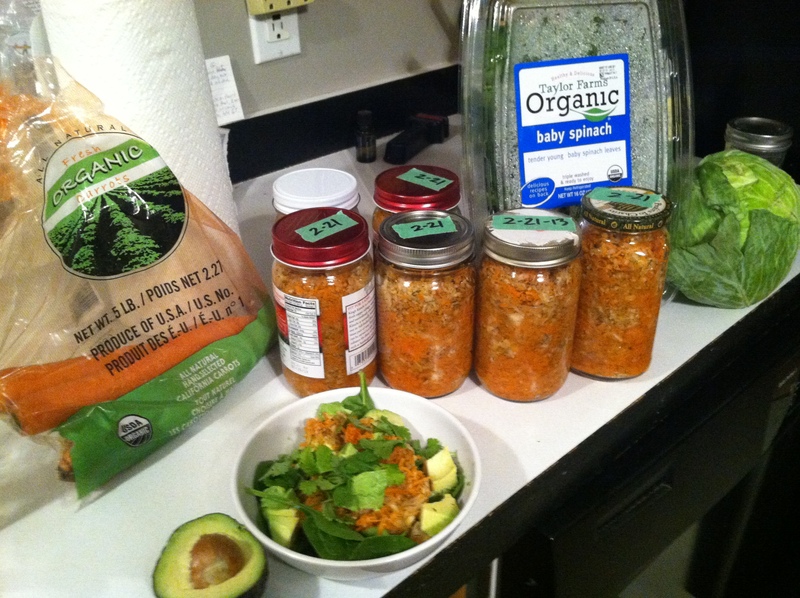 Mix it all together and store in fridge in smaller jars for 2 months. Best to finish a jar in two weeks after it’s been opened. Here’s my daily breakfast with some extra Spinach for a treat. Avocado, Sauerkraut, Slivered Almonds, and sometimes a farm fresh egg. Yum! 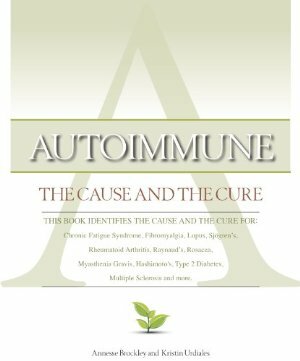 The Picklit Jar and the book ‘Autoimmune The Cause and The Cure’ available at Bee Healthy http://beehealthyllc.com/. So I was wondering, instead of layering could this just all be mixed up in a huge bowl and packed into jars, since you mix it all up in the end anyway? Don’t get me wrong, the layering is beautiful, but I’m wondering if it serves a function other than aesthetic? It serves no other purpose I guess. It just the way the recipe goes in the book. Though they don’t use carrots in the book. Just cabbage.